The Pololu Micro Maestro 6 Channel Servo Controller is a powerful tool for controlling servos. 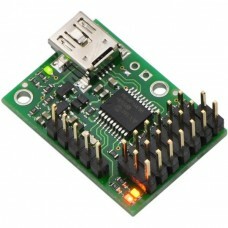 It can be connected to a PC, controlled by your robot's microcontroller brain or run standalone. 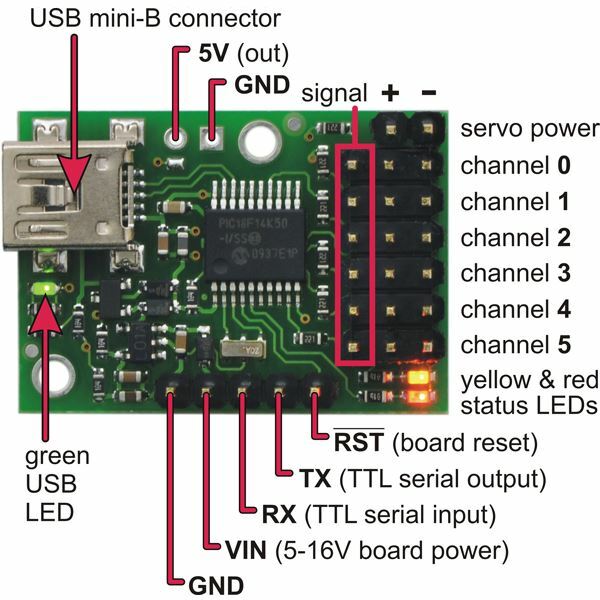 It is a tiny board that uses its own brain power to control of up six servos. 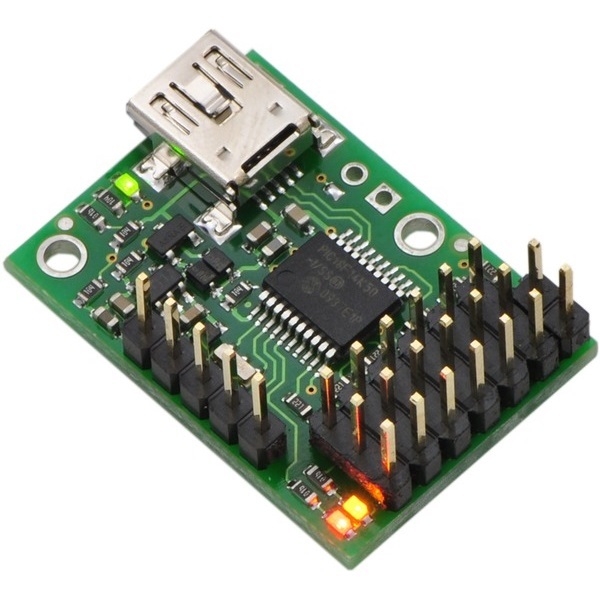 It can also be used to read and control a few GPIO general purpose I/O lines. The servo pulses that this Maestro generates are extremely precise with a jitter of less than 200ns making it ideal for high performance applications like robotics and animatronics. It provides built in speed and acceleration control for smooth movements and can be daisy-chained to control more servos from a single control line. The Micro Maestro has 1 KB of internal script memory for storing servo transitions that can be played back at any time without a computer or microcontroller. The scripts can also respond to GPIO input event triggers. 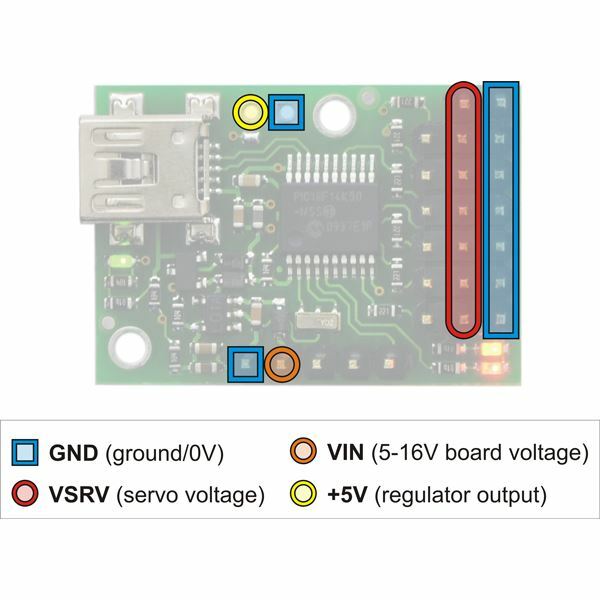 You can even use this tiny little board to control a fully responsive animatronic display or as the brain for a simple robot. This board is fully assembled with male header pins soldered into place. A USB type A to mini B cable is required for connecting this device to a computer. This ZIP archive contains the installation files for the Maestro Control Center, the Maestro command- line utility (UscCmd), and the Maestro drivers for Microsoft Windows. This tar/gzip archive contains the binary executable files for the Maestro Control Center and the Maestro command-line utility (UscCmd) for Linux.